Around the Collar loves to create cat collars that are fashionable and functional. The mixture of the handset Swarovski crystals with the handset nickel spikes creates bling with an edge. 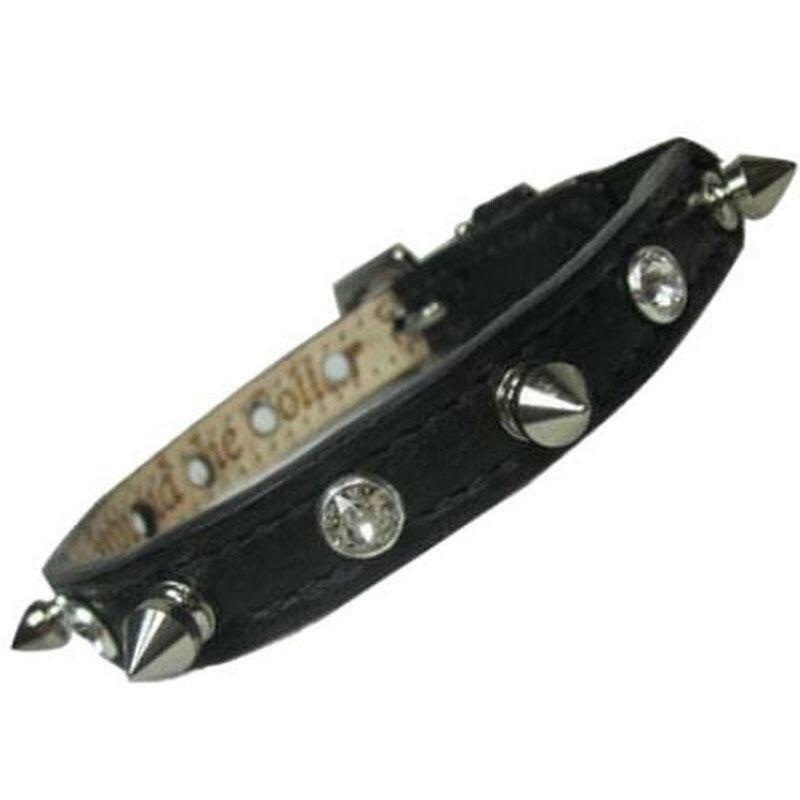 All cat collars are genuine leather and lined with vegetable tanned leather. It is a great look for so many breeds of cats. The lining is vegetable tanned leather that wears well with time. The edge on each collar is hand painted.